Zimbabwe is going to introduce a new currency this year, the Zimbabwean Minister of Finance announced on Saturday. 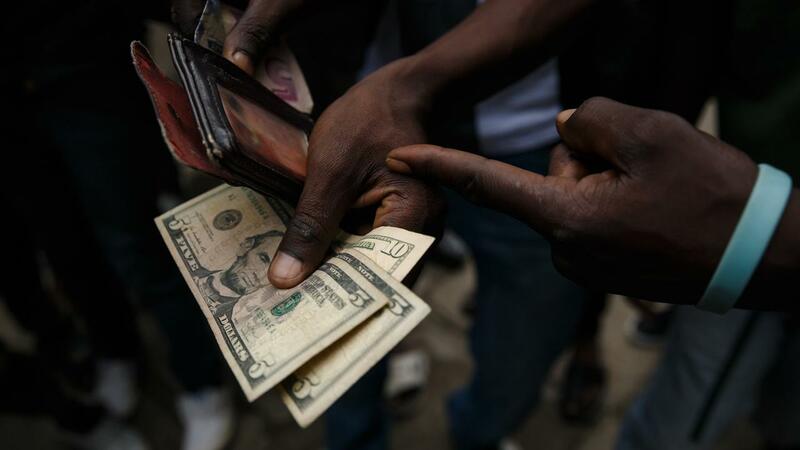 Due to a shortage of US dollars, the financial system in the country has been in serious trouble. Because there is insufficient money as collateral for the 10 billion US dollar that is electronically on the bank, more and more companies are asking for cash payments. The Zimbabwean dollar made way for the US dollar, the British pound and the South African border in 2009 after a period of hyperinflation. In 2008, the Zimbabwean currency reached an inflation rate of 500 billion a year earlier. In the country banknotes of 100 billion dollars and 100 trillion (100,000,000,000,000) were in circulation. How the new currency will be called is not yet known.